This website can be a bit daunting, can’t it? There is so much information, how do you find what you are looking for or where do you start? 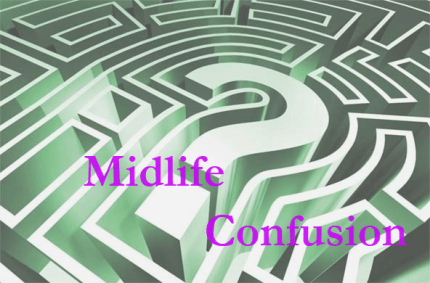 You need midlife crisis resources for a bunch of subtopics. Well, start by registering at the forum. I send everyone who registers a long Newbie Instructions welcome message through the forum’s Private Message system. It’s also pasted in the thread I linked you to above. Or maybe you just typed your question in Google and landed here for the first time. Well Welcome! Certainly go through this list, but I also recommend that you check out The Article List which lists all articles at the main site as well as the Blog Articles List which lists all articles at the blog—you just have to click Expand All to see more than the most recent posts. This post is sort of like an FAQ list, but not exactly. I have created it based on common keyword searches—so for some of the headings I’ve listed different phrases that are similar or related, that way newcomers who may find this page based on their specific keywords and questions can find answers. Below the headings I have listed articles at either the main site or the blog where you can find those types of midlife crisis resources and occasionally I have listed some forum topics. The forum topics listed here are located at the archived topis board which is only accessible if you are registered at the forum, so if you want to read those threads, you will need to register and login–topics that are more recent are located on the community board which is open to everyone. Some of the articles are the first of a series for that entire topic, so when you get to the bottom, follow the next arrow to keep reading if it’s on the main site or the series menu if you are at the blog. I may have repeated a few links if an article fits under a few of the headings. Can My Marriage Survive a Midlife Crisis? Is there Hope for Midlife Crisis Marriages? How Do I Stop a Divorce? How Long Is a Midlife Crisis? Can a Midlife Crisis Only Last A Few Months? Why do Midlife Crisis Spouses Want to Keep in Contact Even Though They’ve Left? Is a Midlife Crisis a Real Mental Illness? Is the Response to Midlife Crisis a Mental Illness? Midlife Crisis or Mental Illness? Brain Imaging – What Would the MLCer’s Brain Show? Why Don’t Therapists Recognize MLC? Difference Between MLC and Depression? MLC or just Passive Aggressive behaviour? Every thread with a story book icon is someone’s MLC story.